AUSTIN — It’s a big Tuesday here at SXSW: Convergence Day, St. Patrick’s Day (as if there wasn’t enough drinking already), and the last day you can pet a robot! It also marks the last StoryConnect @ Omnicom report. Since Friday, StoryConnect has been listening to all your conversations — what you like, what you hate, where you’re going (as creepy as that may sound) — and determining what you need to know about gaming, food, start-ups, music and sports, so you can do SXSW right. While there have been a lot of fun and games, today’s report, developed exclusively for Campaign, highlights some of the cutting-edge conversations and technologies coming out of SX Health this year. Who’s the fittest? 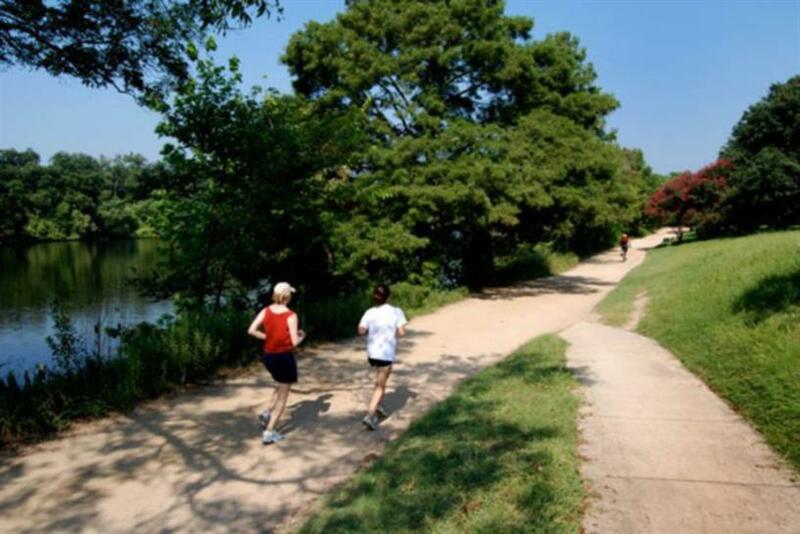 Likely the locals seen running down by Lady Bird Lake. But even if you indulged in 40 pounds of BBQ and neglected the treadmill this week, chances are you either own a fitness wearable or have considered it. 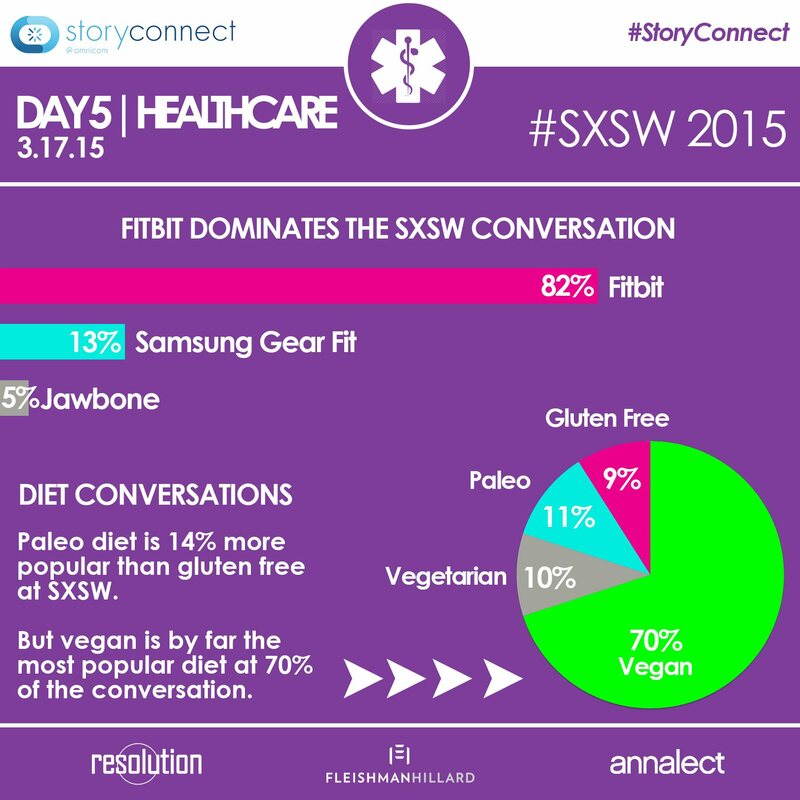 Within the assortment of athletic accessories, Fitbit dominated the SX conversation, with 82% share of voice, despite Samsung’s large presence at the festival. Who’s going to change the world? Every year, some technology, idea or trend promises to end world hunger, solve world peace, or give you six-pack abs while sitting on the couch watching Netflix. Whether or not any of these applications make it to the masses, the groundbreaking discussions had at SXSW spur conversations that make attendees and non-attendees alike consider the future of health and medicine and its effect on their own lives. In one of the most talked about panels coming out of SX health, Malcolm Gladwell and Bill Gurley discussed … well, a lot. But some of the most interesting topics included technology’s role, both good and bad, in the healthcare system, and how the government’s involvement is changing the future of medicine. Was there anything a little more lighthearted? It’s health — of course not! But there were some really amazing people looking at issues from the past year and how to prevent them in the future – which isn’t light, but was a bit more of an optimistic outlook. Conversations around Ebola and other epidemics, like improvements to biomedical suits to expedite response times and monitors to detect symptoms in first-responders, made up 15% of all SXSW healthcare conversations. So no, SXSW 2015 did not save the world – yet. Regardless, it did succeed in bringing together the minds, money and power who have the ability to make a difference in the future of health and medicine, which is, at least, a step in the right direction.